CBCPL BookBox is an outreach service connecting the Corvallis-Benton County Public Library’s materials with local public schools. 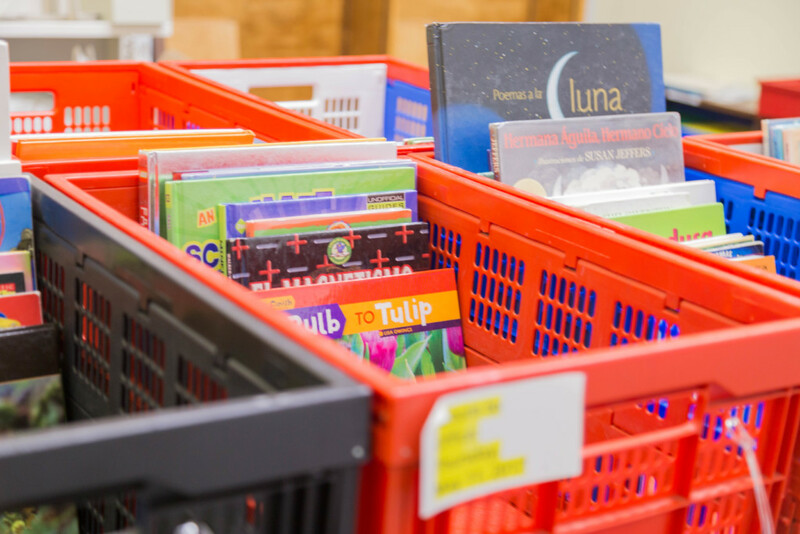 Participating classrooms receive a delivery of thirty selected library materials to support classroom instruction and encourage reading and research skills every six weeks. A mix of grade-appropriate fiction and nonfiction materials will be included and special topic requests will be fulfilled when possible. There are no fees or fines associated with CBCPL BookBox. If you are interested in receiving a regular BookBox delivery for your classroom, please complete this application. Contact the BookBox service for more information. Interested in a separate classroom card for additional items for instructional use? Check out this new service! As educators, you now have several options to increase your classroom’s access to public library materials! Did you know? Each local school in the Corvallis 509J School District has a CBCPL library liaison. Contact your liaison today!